In the summer humidity, it’s especially important to know how to best nourish your hair so it doesn’t turn frizzy. 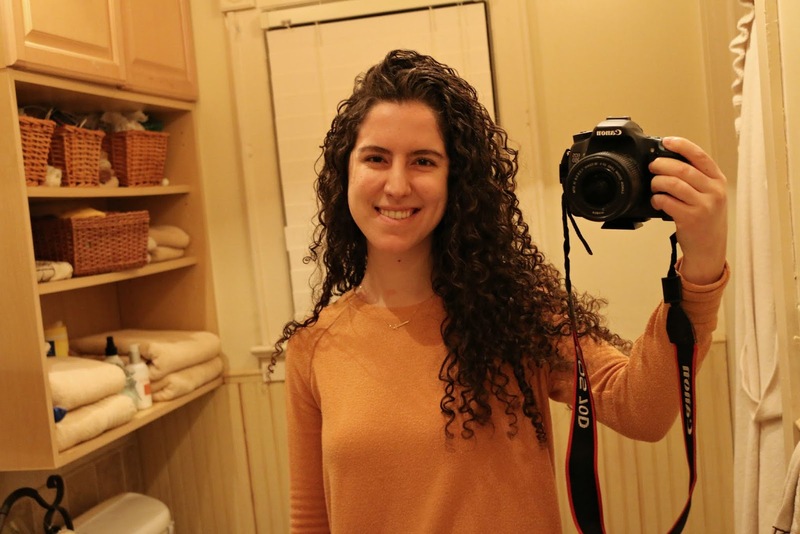 For those who have naturally thick, curly hair like me, I would love to share with you all the little tips and tricks collected over years of trial and error that have personally helped my hair look its best during any season! For curly-haired folk, it’s recommended not to use shampoo every time you take a shower. Most shampoos carry sulfates to cut through the dirt and oil in your scalp, but they also risk washing away the important scalp oils that keep it healthy and naturally moisturized. 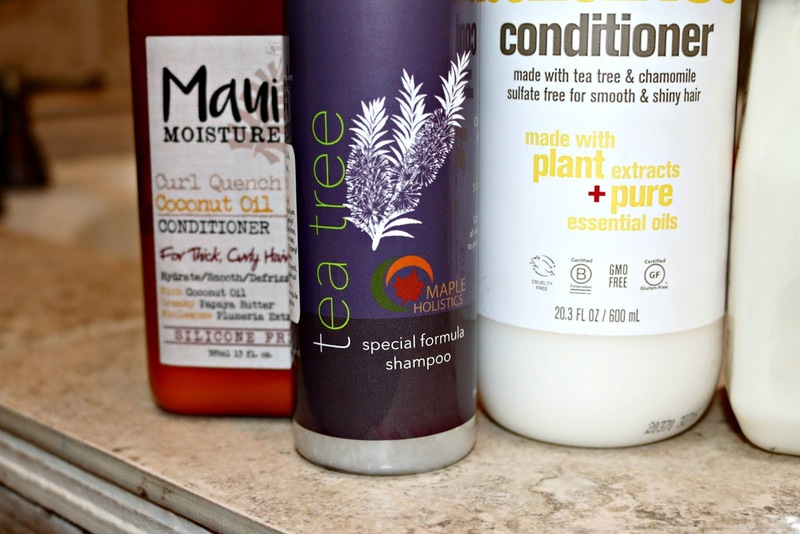 Using the sulfate-free Tea Tree Oil Shampoo by Maple Holistics has tremendously helped to decrease my dandruff and soothe my scalp. Along with the detoxifying tea tree oil, I love all of the other natural oils they pack into it which include argan, jojoba, lavender, and rosemary oil. After you’ve shampooed and conditioned your hair, it’s best to rinse it with cold water so the hair follicles can seal and prevent later frizz. By all means, take your shower with soothing hot water so the open cuticles can absorb the shampoo and conditioner, but right at the end, I would recommend being brave by turning the faucet to cold for a few brief moments. It will be worth it when you style your hair later! Once I unwrap the cotton shirt, I like to condition my hair once-more and then follow up with a clear curling gel. I find that this step makes all the difference in keeping my curls defined for several days after I’ve styled it! They key is to not slather the gel all over your hair, but to be more meticulous in using the gel to sculpt your curls. The best way I can describe the process is to take a dollop of gel each time and spin with your fingers a substantial amount of hair from top to bottom so the whole curl is evenly moisturized and sculpted. I’ve provided my hair guide video down below so you can see how I go about this step! Even if you’ve done everything right up till this point, you can still mess up your hair and cause it to frizz by touching it while it’s still wet. Air-drying is simply the best way to let your hair dry since your curls are allowed maximum time to naturally form. 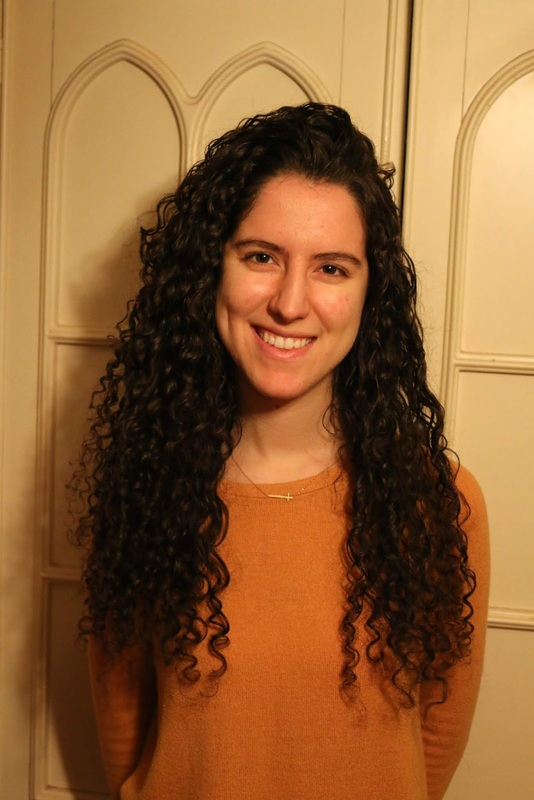 It might be tempting to start styling your hair when it’s only a little damp, but I’ve personally found that my hair can still frizz up if I don’t wait long enough. So the best tip I can offer you is to practice patience and just wait it out! For as much time and energy that pour into your nourishing hair routine, unfortunately your beautiful curls won't be able to stay defined for long. The following days after you style your hair, spritzing it with water will definitely help it to stay hydrated and healthy. Conditioning the ends of your curls often wouldn’t be a bad idea either. Aside from pure H20, I love to spray Shea Moisture’s Coconut & Hibiscus Detangler onto my hair when it’s frizzy after waking up. It lightly moisturizes my hair without adding too much product to my already heavily-producted hair (if that makes any sense)! I’m not sure why the Shea Moisture detangler is only designed for kids. I guess it just goes to show that I’m a kid at heart, so kid products work for me too lol! 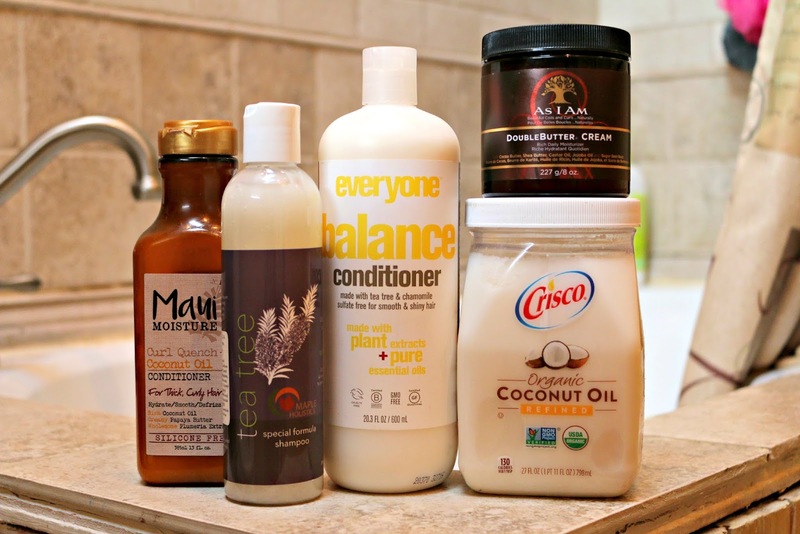 These are all of my best tips that I can offer you to keep your curly hair healthy and let it look its best. Definitely feel free to share what certain tricks work for your hair in the comments below!